Upcoming EventsWhere Do I Go Tommorrow? While Christmas has passed, when Handy is driving to homes to clean them, we still see many people with their lights up. This got us to thinking what the best lights to own are. You may have taken yours down for the year, but we are sure that you had some lights that you maybe did not care for. Perhaps some of your lights have been up for so many years that it is time to replace them. This is where we come in. We have done the research on many different light styles and manufacturers in order to give you ideas on which lights to buy in the years to come. We put them up for about a month every year and then back into the box they go. 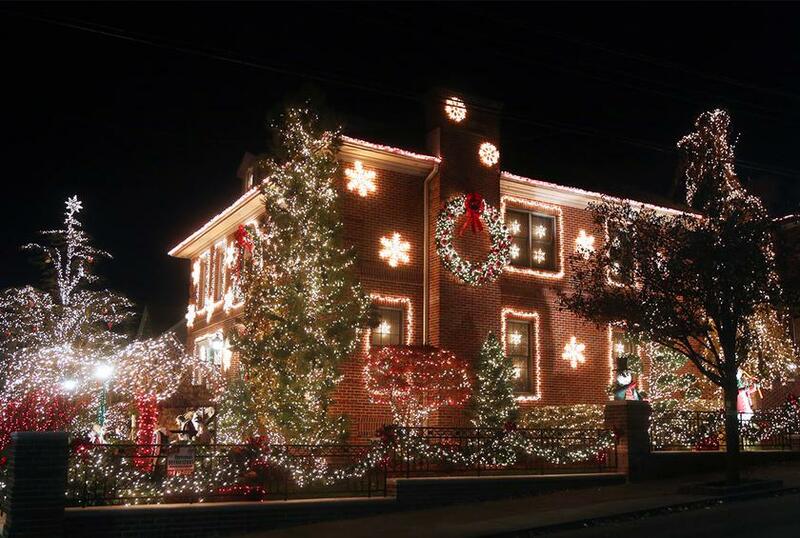 No one ever really gives thought to the lights that they put on their house. Often times, you will pick up the ones on sale and wonder why they have failed you that year or the following year. Well, what you need to do is to make a quality purchase in order to have them last longer. If you buy the cheap ones that only last a year, or the more expensive ones that last three years or more, which do you think costs less in the long run. So, without further delay, we present to you the list of lights that you should consider buying the next time you are in the market for lights. GE Energy Smart Colorite 100-Light LED Multicolor Miniature Lights – From the indoor lighting side of the market we check in with these wonderful lights. They are a little on the expensive side, but they rival the incandescent lights of years ago. Since you cannot find those lights anymore, these lights are the next best thing. While you may be paying a little more, these lights come with a ten-year warranty. So, think about that next time you are considering the lights that are on sale. GE Energy Smart Colorite 100-Light LED Warm White Mini Light Set – Basically the same lights as above, but in white. They come with the same ten-year warranty and will be a welcome addition to any home. For the record, these too are from the indoor collection. Christmas Designers T5 Smooth LED Lights - If you want to save a few bucks, you can get these lights. They are also indoor lights, but they do not have the same power as the aforementioned lights on the list. Additionally, they do not come with a ten-year warranty. This does not make them any less good, it simply gives you something to think about. Christmas Designers 5mm Wide Angle Conical LED Lights – Last, but not least, if you are looking for outdoor lights, you definitely need to pick these up. They are completely waterproof, and they allow you to link 43 strands on a single outlet. Handy loves driving down the street and seeing the lights this time of year. Make sure that the lights you get next time are lights that are going to last you for years, not just a single season.